As per section 3 & 4 of ‘Real Estate (Regulation & Development) Act, 2016 read-with rule 4 of above Rules, for the real Estate projects that are ongoing and have not received completion certificate or occupancy certificate, on the date of commencement of the Act, i.e. 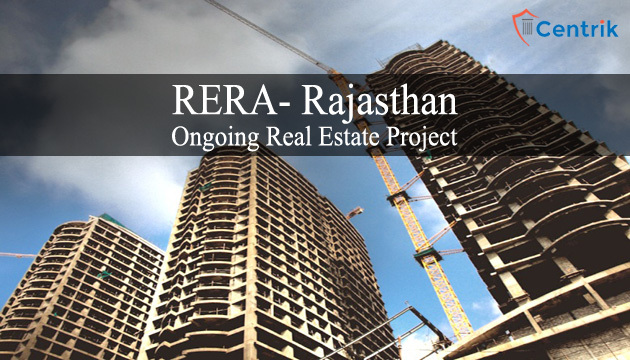 01/05/2017, the respective promoter shall be required to get registered with RERA of that State, within a period of 3 months from date of commencement, shall make application in triplicate for registration of the project. Where the promoter is not the owner of the land on which development of project is proposed details of the consent of the owner of the land along with a copy of the collaboration agreement, development agreement, joint development agreement or any other agreement, as the case may be, entered into between the promoter and such owner and copies of title and other documents reflecting the title of such owner on the land on which project is proposed to be developed . The original sanctioned plan, layout plan and specifications and the subsequent modifications carried out, if any, including the existing sanctioned plan, layout plan and specifications. the total amount of money collected from the allottees and the total amount of money used for development of the project including the total amount of balance money lying with the promoter. Status of the project (extent of development carried out till date and the extent of development pending) including the original time period disclosed to the allottee for completion of the project at the time of sale including the delay and the time period within which he undertakes to complete the pending project, which shall be commensurate with the the extent of development already completed, and this information shall be certified by an engineer, an architect and a chartered accountant in practice. The validation of registration shall be valid till completion of project as given by the promoter. The registration can be extended as per the prescribed rules. What is he criteria of date of completion of the delayed ongoing projects in MahaRERA. I have found the date of completion given by promoter 6 time more than required, It is nothing but the killing of time. It means promoter found RERA to enjoy money of alottees for more 3 to 4 years. How RERA is favouring the customers in ongoing projects of errant promoters ? At the time of registration, the promoter can put any date as the completion date. This is no formal rules to govern this particular issue.